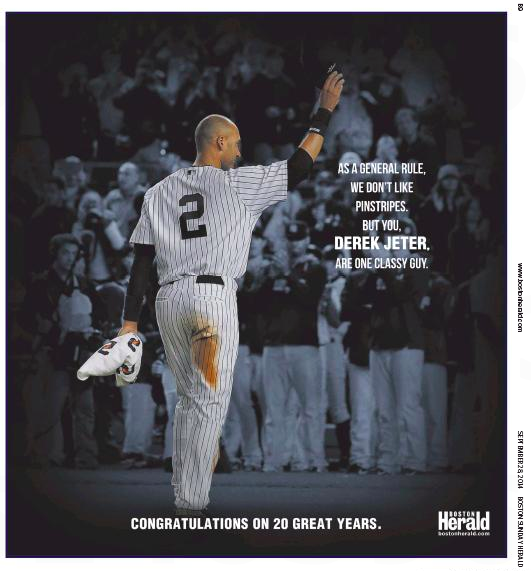 It’s Sendoff Sunday for Yankee great Derek Jeter as he says so long to baseball and the Fenway Faithful. So it’s not surprising that the local dailies have some parting gifts for the splendid shortstop who, as far as we know, never got a nickname. Nice, but a little cold and calculating. Crosstown at the Boston Herald, the sendoff is much warmer. 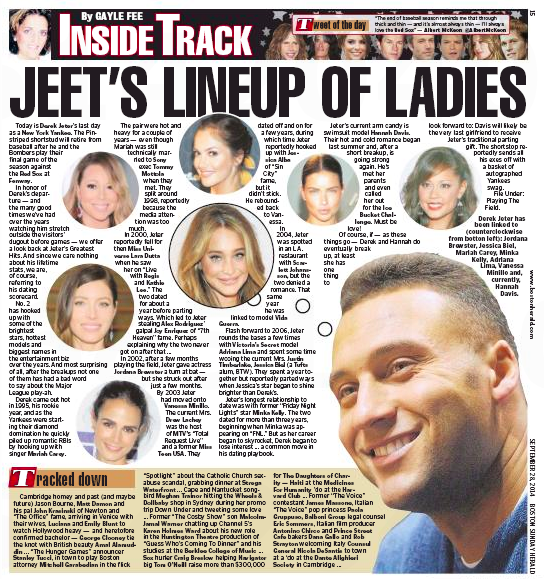 And the feisty local tabloid goes into extra innings, as Track Gal Gayle Fee tracks Jeter’s dating average. Tip o’ the cap to the Herald on this one. 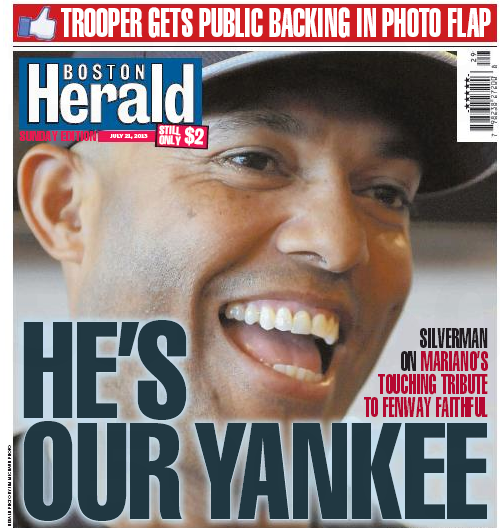 The Boston Sunday papers feature – hold on now – very similar takes on New York Yankee immortal Mariano Rivera, who’s been on a unique farewell tour in this his final season. After a brief introduction from [Yankees media relations director Jason] Zillo, Rivera led a discussion that lasted 40 minutes. He spoke softly at first then a little louder as he encouraged others to join in. Rivera’s tender interactions with the two speak volumes about the man. 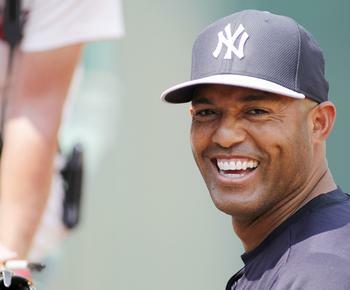 For one day at least, Mariano Rivera made the whole Red Sox-Yankees rivalry look silly. Rivera, the most respected player of his generation and the best closer in the history of his sport, spread his brand of love and kindness all over the Red Sox and Fenway Park yesterday . 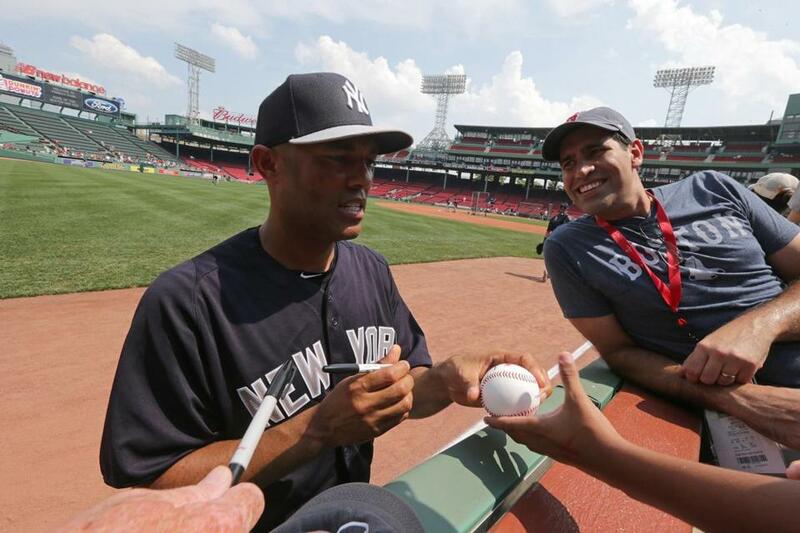 . .
His pregame visit took place in a Fenway suite where fans — young and old, some with cancer, victims of the Boston Marathon bombings — along with longtime Fenway employees sat in a semicircle around the 43-year-old Rivera, who was dressed in his Yankees batting-practice uniform. His greeting was essentially his thanks to them for being there. 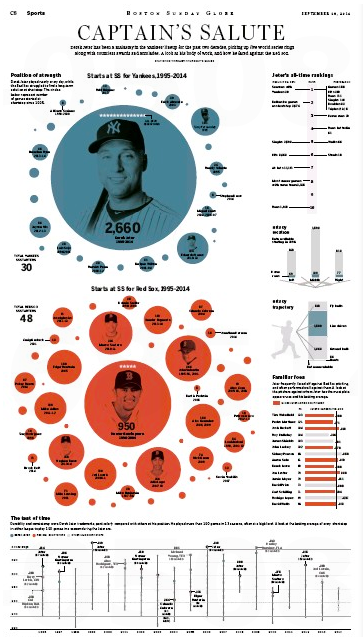 As the Globe piece noted, the Boston fans thanked him right back. And, clearly, we all love The Great Rivera. 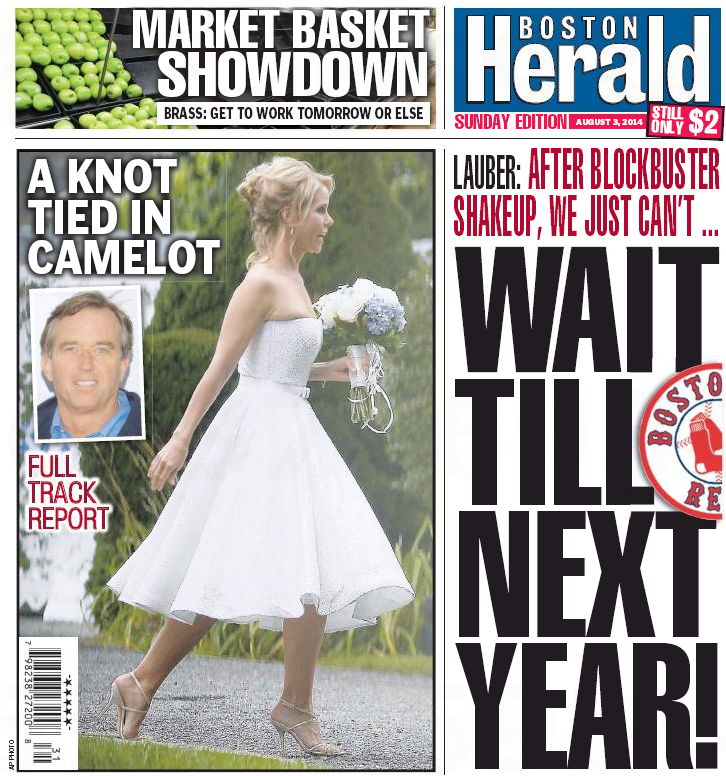 The Boston Herald will be doing some celebrating itself and singing itself tomorrow, thanks to a return trip to The Newseum’s Top Ten Front Pages hit parade. Look no further than today’s front pages to find out what time it is. Fields of dreams, players in action and the St. Louis Post-Dispatch‘s reliable weatherbird all provide the answer. For most papers, play ball means baseball. For the Press-Citizen, it means golf. 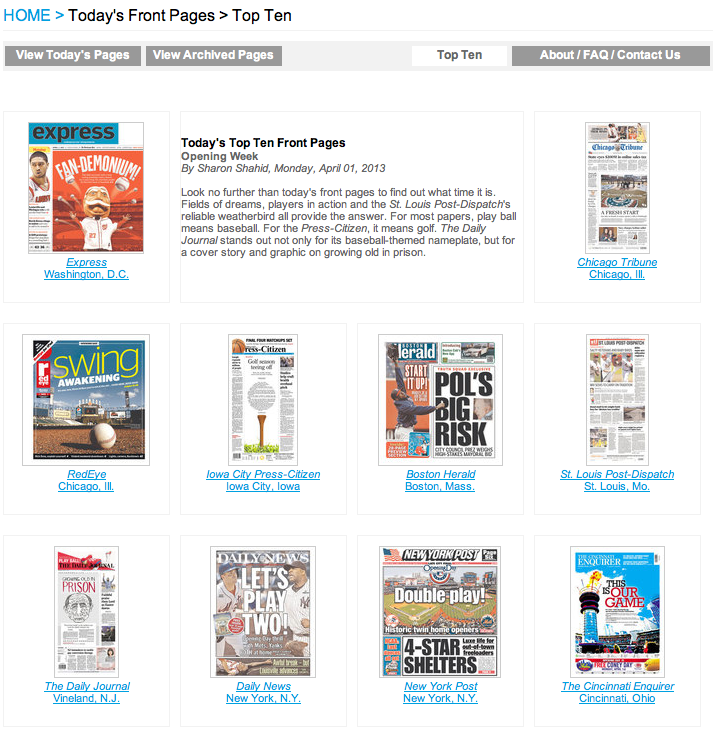 The Daily Journal stands out not only for its baseball-themed nameplate, but for a cover story and graphic on growing old in prison. Note that both New York tabloids were hits, which is more than the Yankees can say about their home opener. Can’t wait to see the Big Town tabs tomorrow. 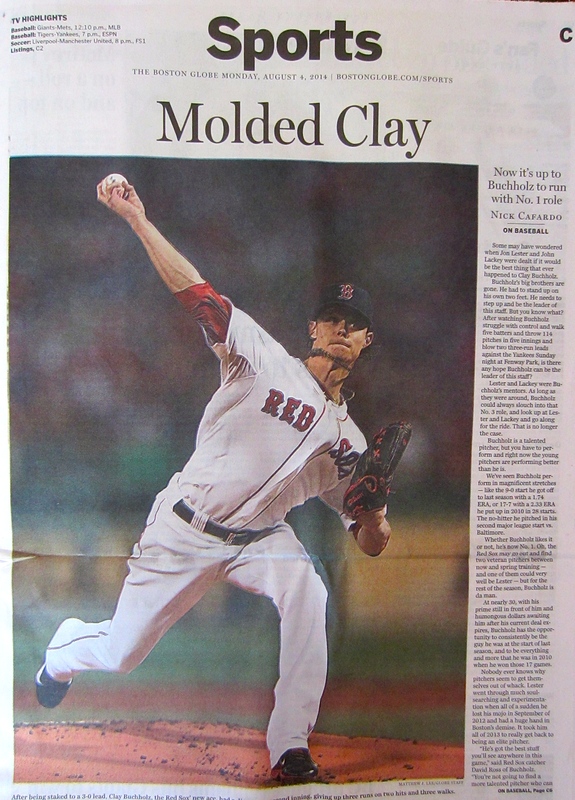 Who Hates the Yankees More: The Globe or The Herald? As a Made Yankee Fan in Boston, the hardreading staff is entirely gobsmacked by the Chernobylesque meltdown of the Bronx Bummers in the ALCS. 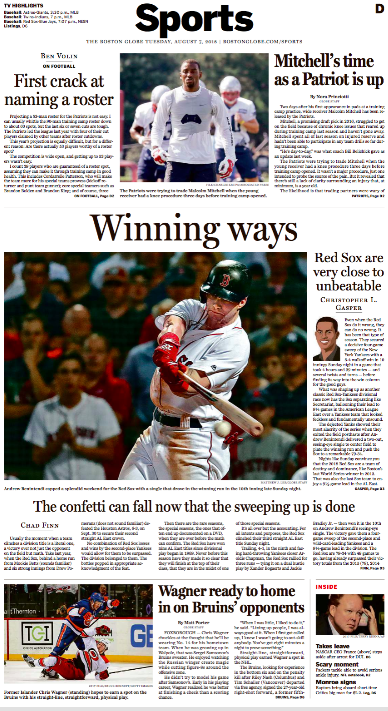 The locals here in Boston – and the local dailies – are lovin’ it, of course. As well they should. But which paper loves it more? 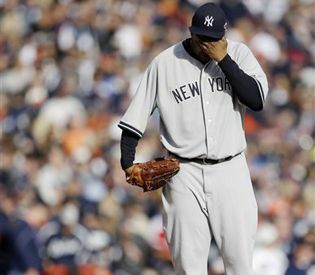 DETROIT — The Detroit Tigers didn’t simply sweep the New York Yankees out of baseball’s postseason on Thursday; they embarrassed them in every way one team can another. An 8-1 victory in Game 4 of the American League Championship Series gave the Tigers their first pennant since 2006 and completed a most thorough rout of the Yankees. 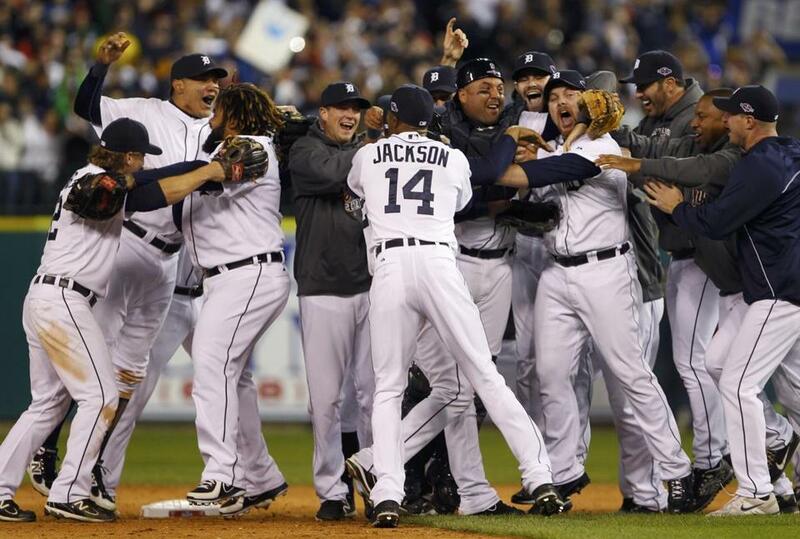 The Tigers never trailed in the series, outscoring the Yankees, 19-6. They were the fifth team in history to sweep a best-of-seven series without trailing in any game. The Red Sox were the last team to do it, crushing the Cardinals in the 2004 World Series. “If someone told me we would sweep the Yankees in this series, I would have told them they were crazy,” Tigers manager Jim Leyland said. Us too. 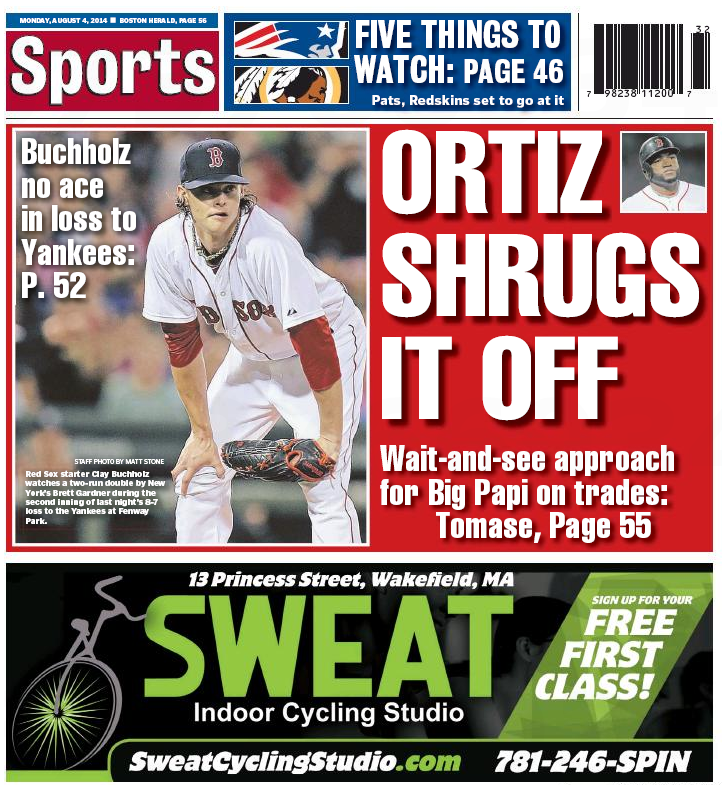 But the Tigers did, much to the delight of the Boston Herald, which devotes its back page to the the Pinstrikes’ plunge. DETROIT — In the span of one month, the 2011 Red Sox [team stats] mutated from World Series contenders into a team that choked on everything except its fried chicken. 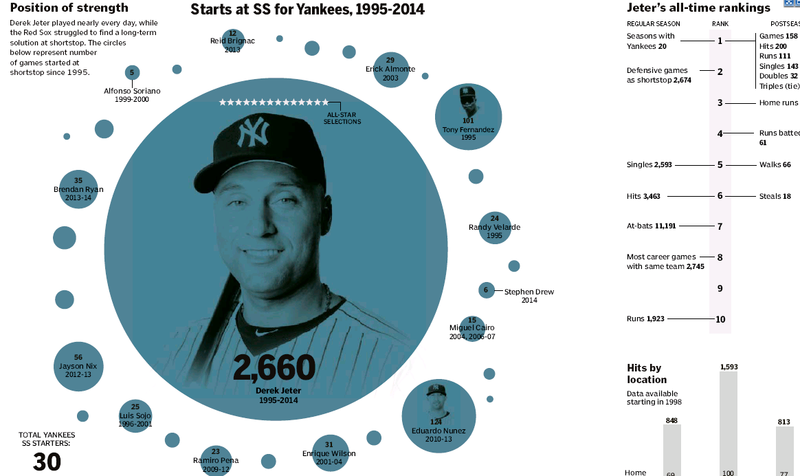 The fall of the 2012 Yankees took only five days. And what happens next figures to be fascinating. The Red Sox learned the hard way that their rapid demise was rooted in more than merely one horrendous month. After taking over for Theo Epstein, general manager Ben Cherington only minimally tweaked the roster, and 93 losses later, the Sox suffered their worst season in 47 years. So, although the Yankees won 95 games and the AL East title, the events of the past week have made it abundantly clear that GM Brian Cashman has nearly as much work to do this offseason as Cherington. The Yanks may have finished 26 games better than the Red Sox, but it somehow feels like they’re almost as far from winning another World Series. DETROIT — The growing chants of ‘sweep, sweep, sweep,’ cascaded from the rafters, an upper deck-to-dugout reminder of just how stunningly far and fast this Yankee season crashed to its end. This team didn’t just get swept out of the American League Championship Series by the 8-1 beating the Tigers put on them Thursday in Detroit; they were stripped bare of their pride, outclassed to the point that they couldn’t even take a lead for one of the 39 innings they played. The home crowd bubbled with excitement as the Yankees took their final, feeble ninth-inning swings, and unleashed its full euphoria when Jayson Nix’s pop-up landed with the final out in Prince Fielder’s glove. But while Detroit’s door to delirium opened, a different one slammed shut on the Yankees. Devastated and disappointed, distracted and defeated, they walked off Comerica Park’s field as a hollowed out shell of the group that barely a week before, had willed its gritty, gutty self to a decisive Game 5 ALDS win over Baltimore. Hard to argue with that. 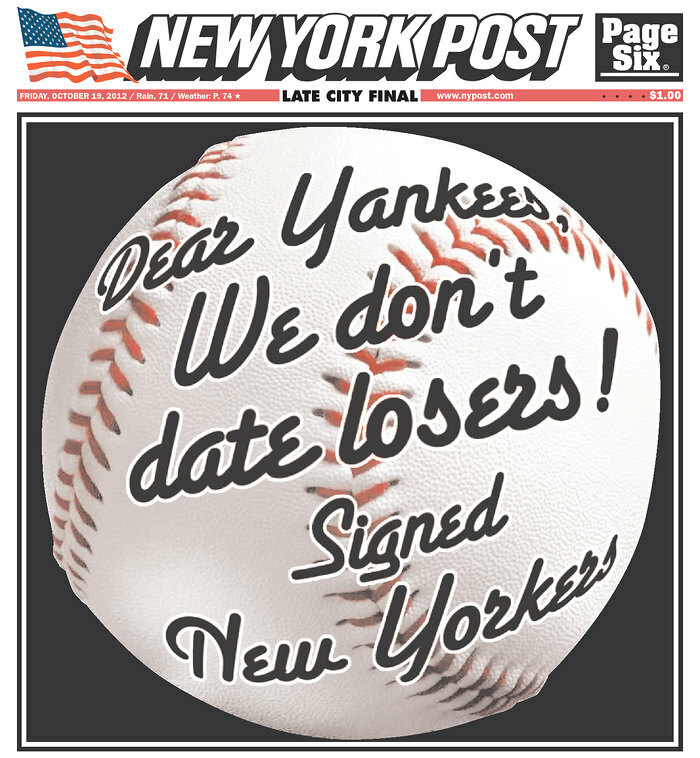 And hard to deny that the New York Post just might hate the Yankees even more than the Boston dailies do. As for the hardcringing staff, we believe the only clutch performance by a Yankee was Joe Girardi’s benching of Alex “No Connection” Rodriguez. If there’s one good thing that comes out of this dismal postseason, it might be that Mr. September comes off the Yankee roster. See you around the Hot Stove.